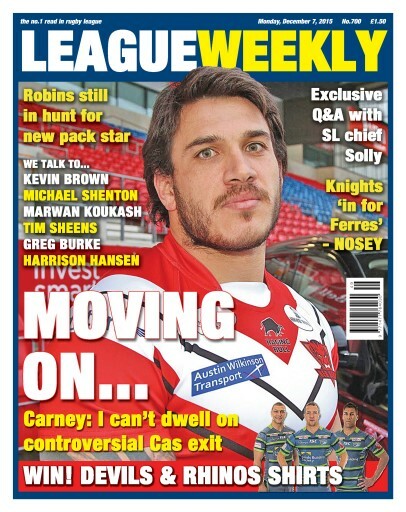 We sit down with Super League chief Blake Solly for an in-depth chat about the sensational season just gone. 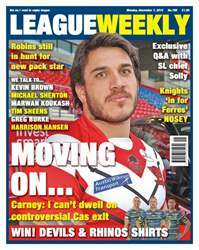 We also talk to Justin Carney Chase, who says he wants to move on from the controversy that saw him leave Castleford for Salford for 2016. Carney's new bosses at the Devils, owner Marwan Koukash and director of rugby Tim Sheens, tell us about their hopes for the club. Widnes skipper Kevin Brown raves about one of their less high-profile new signings and Castleford captain Michael Shenton opens up about his England disappointment. There is lots from our regular columnists, Andrew Voss, Danny Lockwood and Ray French plus a full news round-up of the Championship, League 1 and the amateur game. League Weekly - every Monday.